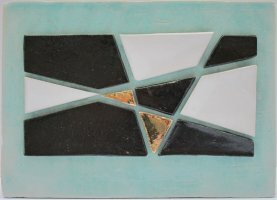 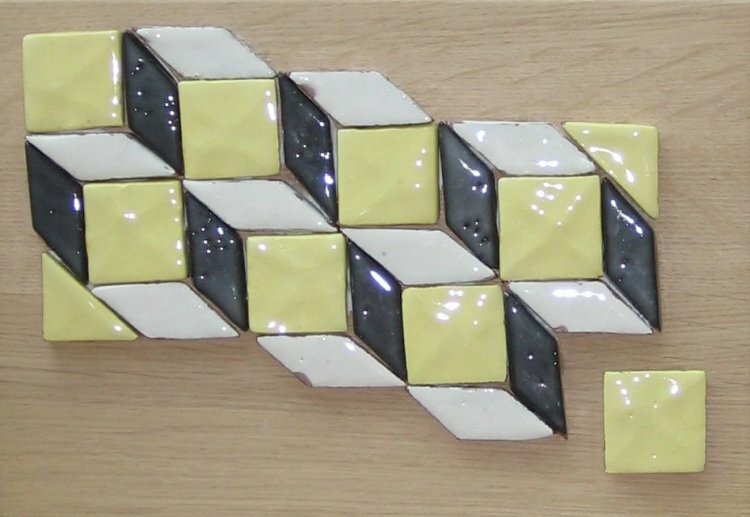 We use high-fired stoneware for our tiles, often with gold and silver lustres. 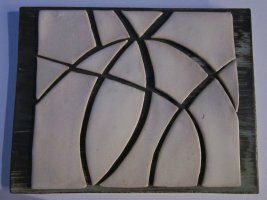 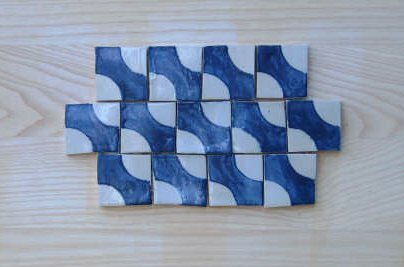 As well as landscapes and simple geometric forms, some of our tile hangings are influenced by examples from the 'Op Art' movement - aka. 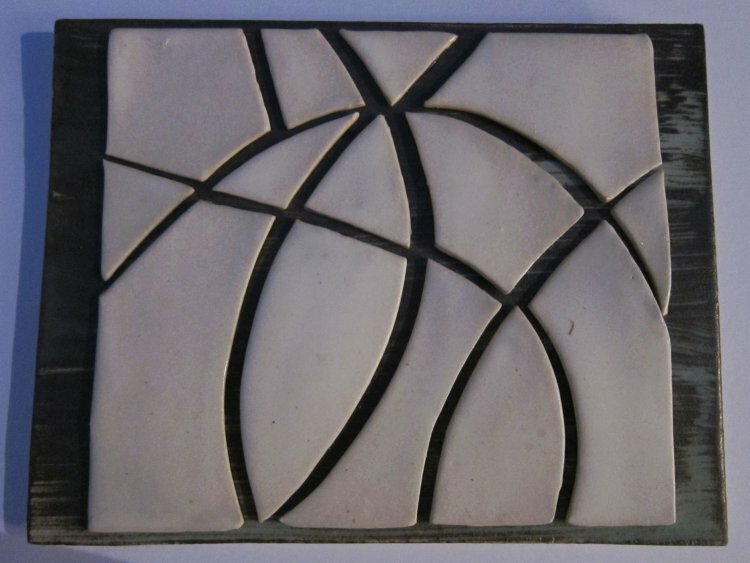 Optical Art or Perceptual Abstraction. 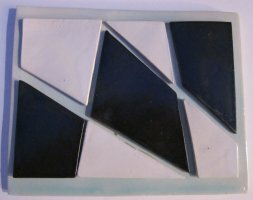 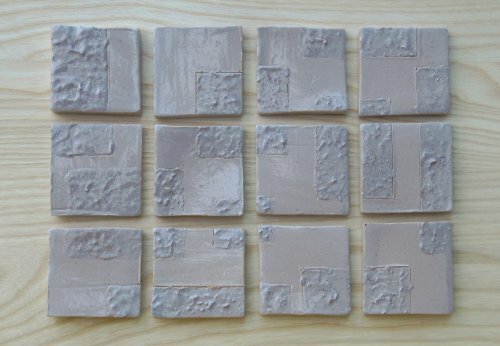 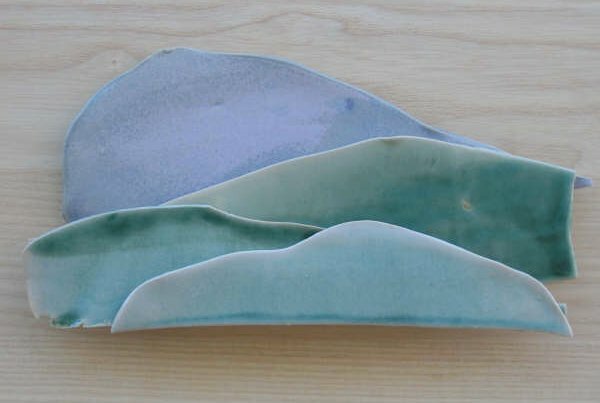 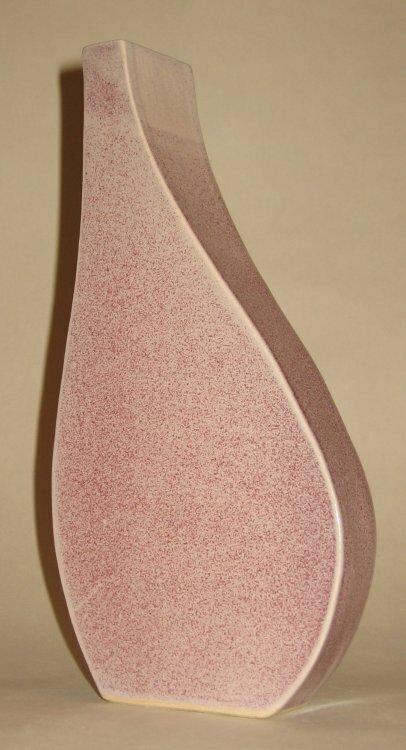 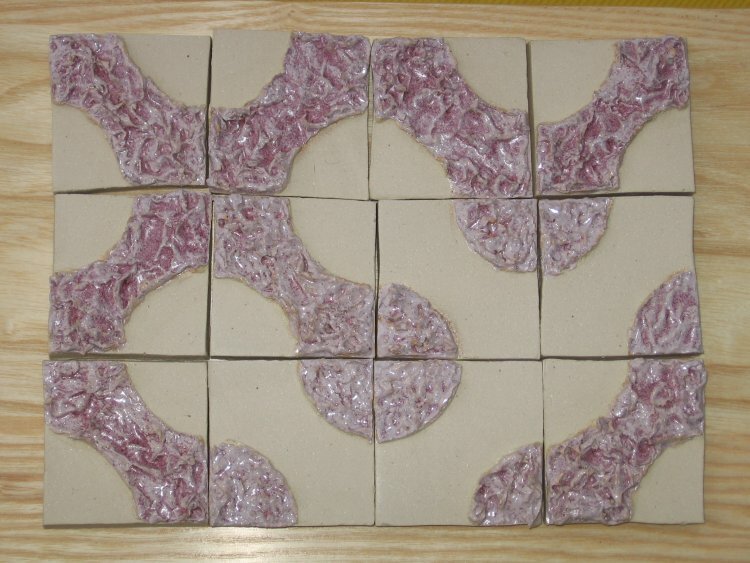 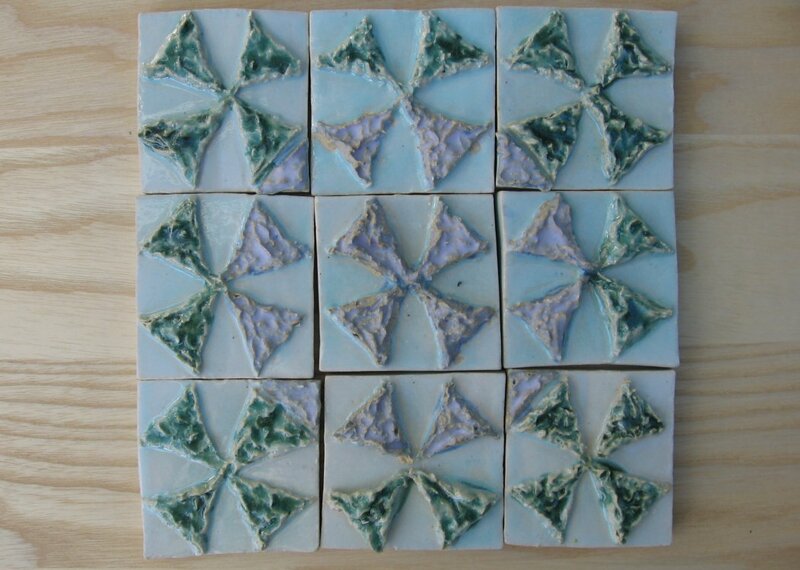 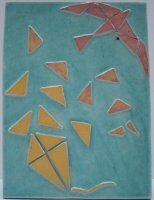 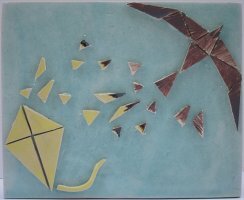 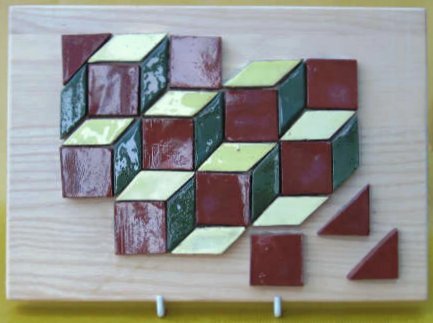 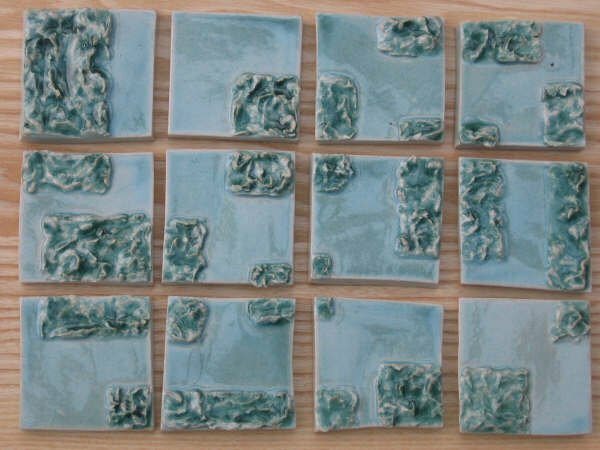 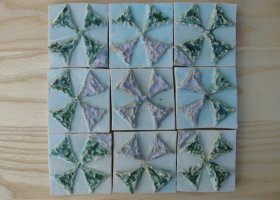 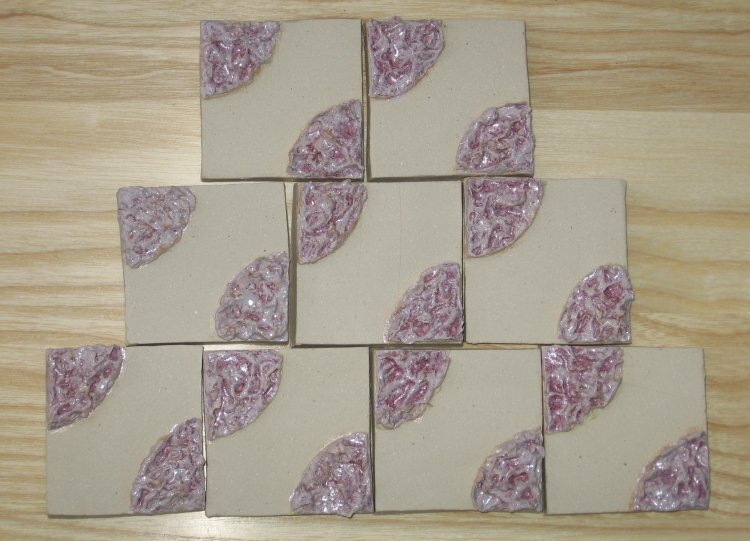 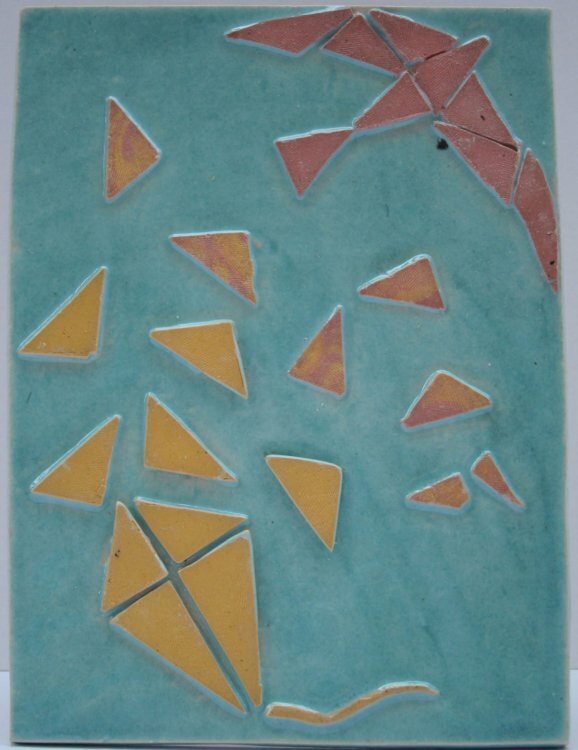 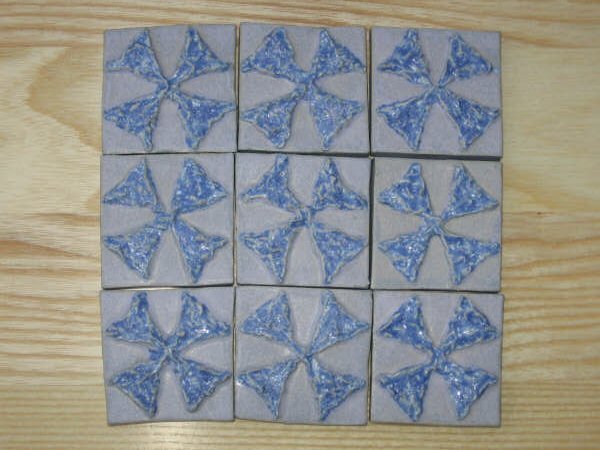 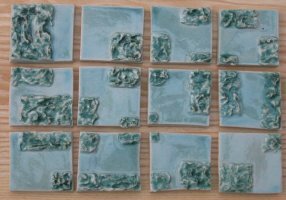 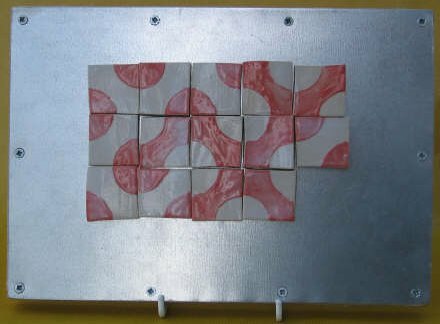 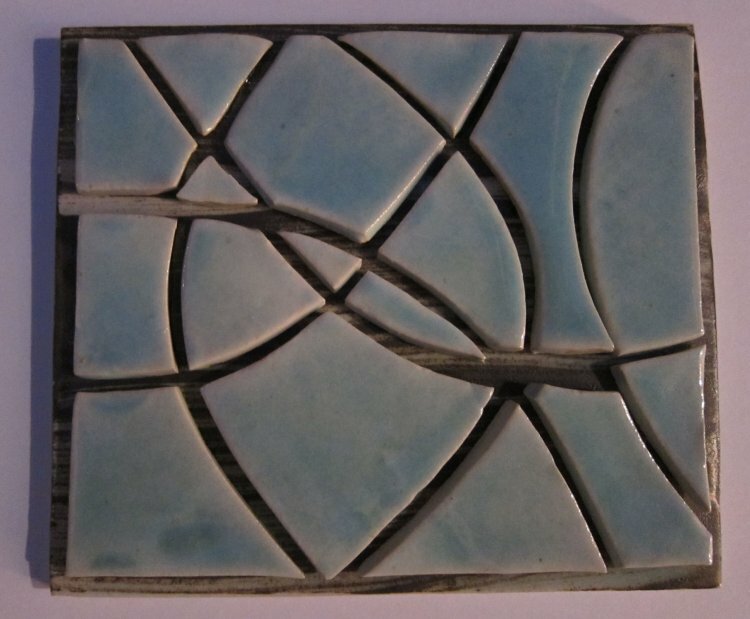 Pieces include paperclay and stoneware tiles; experimentation is the one consistent theme! 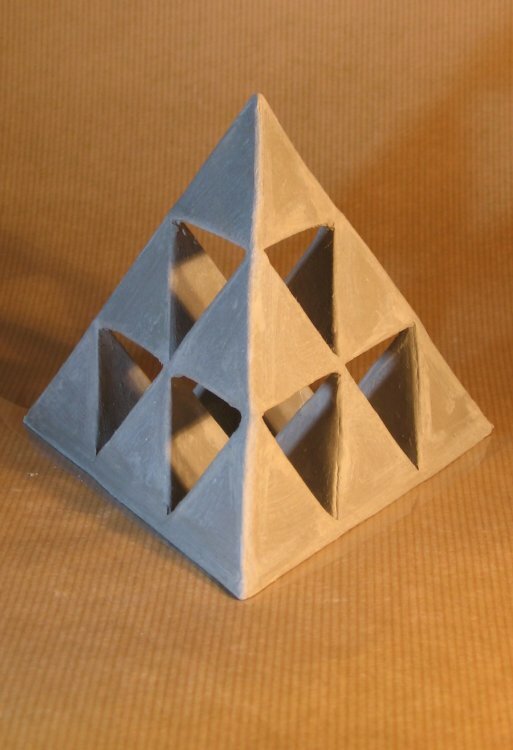 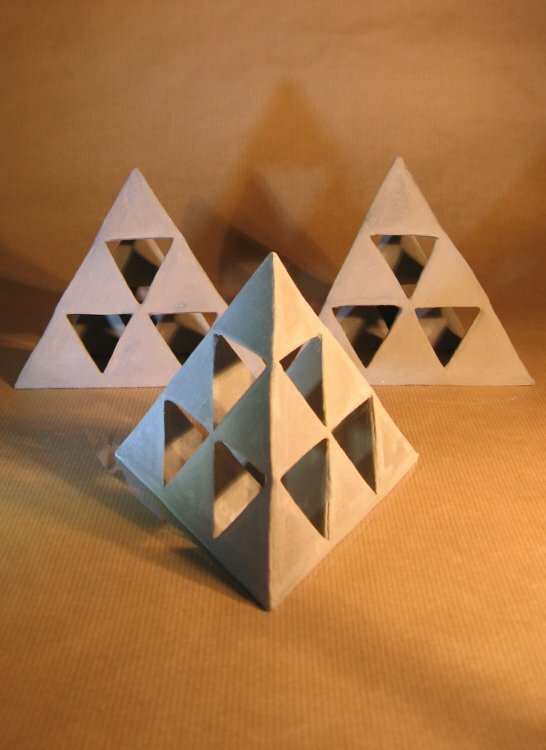 We've recently started experimenting with pieces that exploit shadows and spaces - our Pyramids are our first examples of this. 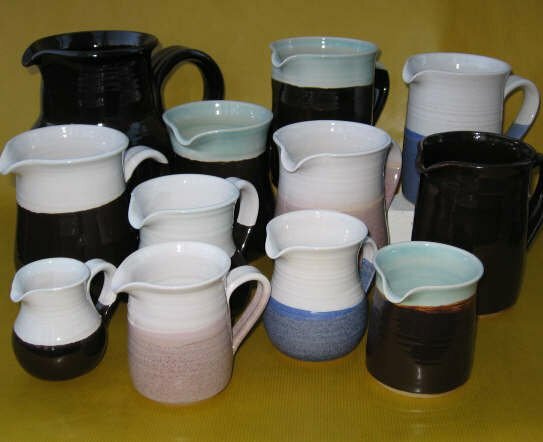 We're always adding new pieces and you'll find many of them available to buy at our seasonal shows and at our Wendover pottery. 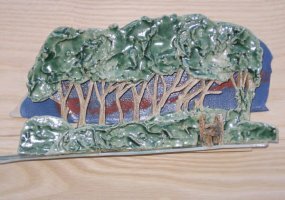 Get in touch to find out more, or to make an appointment to visit the pottery. 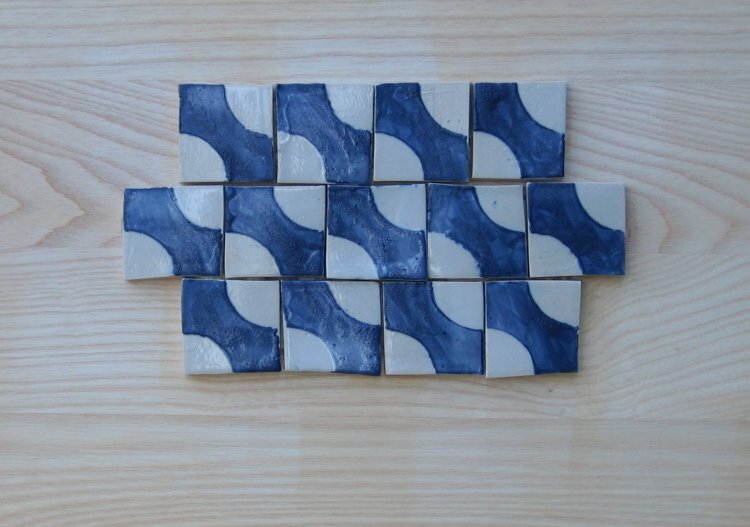 To find out where you can buy our tiles, visit the 'Where to Buy' page or contact us.